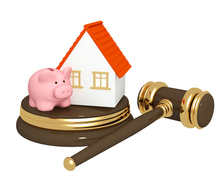 The division of marital assets and debts in Court is done pursuant to equitable distribution. The presumption in North Carolina is that marital assets and marital debts are to be divided equally to the extent possible. The division is supposed to be in-kind whenever possible, meaning items should not be sold , but distrubuted to the parties. That being said, certain large assets such as houses may need to be sold to divide the equity and remove one party from a joint mortgage. Retirement plans such as 401K's and pensions can be divided with a "QDRO" or Qualified Domestic Relations Order. The need of the parent with custody of the child or children of the marriage to occupy the martial residence and to use or own its household effects. The expectation of pension, retirement, or other deferred compensation rights that are not martial property. Any equitable claim to, interest in, or direct or indirect contribution made to the acquisition of such martial property by the party not having title, including joint efforts or expenditures and contribution and services, or lack thereof, as a spouse, parent, wage earner, or homemaker. Any direct or indirect contribution to an increase in value of separate property that occurs during the course of marriage. The liquid or nonliquid character of all martial property and divisible property. The difficulty of evaluating any component asset or any interest in a business, corporation, or profession, and the economic desirability of retaining such an asset or interest intact and free from any claim or interference by the other party. The acts of either party to maintain, preserve, develop, or expand; or to waste, neglect, devalue, or convert the martial property, during the period after separation of the parties and before the time of distribution. Any other factor the Court finds just and proper. * The Forms provided below are for illustrative purposes only. They should not be relied upon or filed with the Court. Please seek legal help before filing anything with the Court.